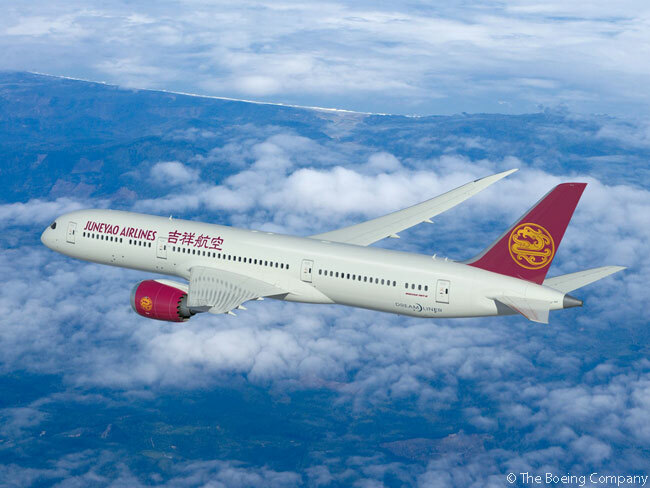 Shanghai-based Juneyao Airlines has finalized a firm order for five Boeing 787-9 Dreamliners, in a deal Boeing values at about $1.32 billion at current list prices. 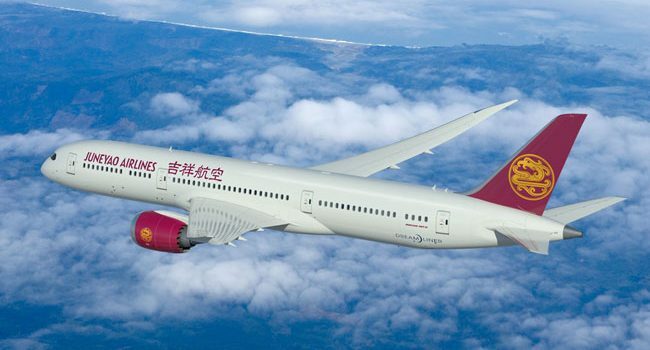 Juneyao Airlines’ order, which also includes options for five more 787-9s, represents the privately owned carrier’s first Boeing order and its first order for a widebody aircraft type. “Our strategic vision is to develop into an international airline that provides high quality service with an extended network, while ensuring excellent profitability,” says Wang Junjin, chairman of Juneyao Airlines. One of China’s largest private carriers, Juneyao Airlines was founded in 2005 and started operating commercial services in 2006. Using an all-Airbus A320-family fleet of 41 A320s and 19 A321-200s, Juneyao Airlines today operates domestic routes and short-haul international flights to neighboring countries such as Japan, South Korea and Thailand.